We are lucky to have such a diversity of green spaces in the town. They are host to a wealth of fascinating wildlife including rare birds and plants. 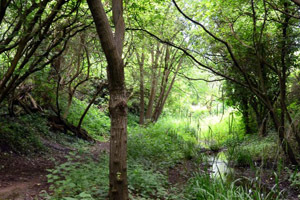 We're seeking to upgrade all of our nature reserves to Local Nature Reserve (LNR) Status to ensure that they are kept for the benefit of wildlife and biodiversity in Cheltenham. We would like to gather more information about the wildlife that visits our parks and open spaces and we are linked to the Gloucestershire Centre for Environmental Records. If you would like to record any sighting of wildlife which you have seen during your visit please visit their website for information.